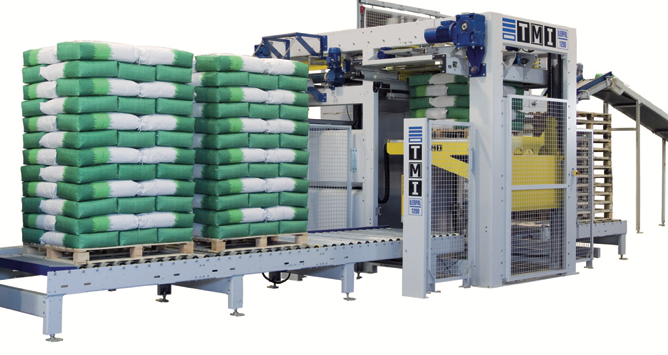 This system conveyors the bags up & slides them into position to form a layer. The layer is pressed on all four sides and the pallet is then raised and the layer is placed on the pallet. The layer top is pressed for form a flat surface to the next layer. This system is ideal for valve bags & capable of high speeds with a very high quality finished stack.